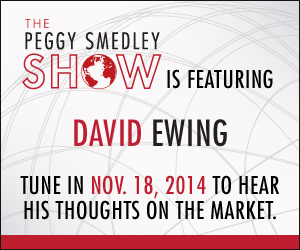 David Ewing | McWane, Inc.
Synapse’s own CTO, David Ewing, has been invited to participate on The Peggy Smedley Show, which will be broadcast live on Tuesday, November 18th at 12:15 pm CST. As the voice of M2M and connected devices, The Peggy Smedley Show is an entertaining, yet fun, resource for listeners looking to understand the issues and challenges of implementing the newest technologies both in the workplace and at home. Broadcast live each Tuesday from 12 p.m. – 1 p.m. CT on wsRadio.com, host Peggy Smedley brings her years of experience, knowledge, analysis, and sense of humor to each show. The Peggy Smedley Show features discussions with top-tech thinkers and newsmakers, offering in-depth analysis, while sharing the hottest connected-device stories and trends. To listen live on Tuesday, please visit www.peggysmedleyshow.com.